In spite of a college try at healthy living, I’m not shy about my love for Chick-fil-A. Raised up north, I was mostly unaware of the restaurant until traveling through the Southeast just a few years ago. I thought, It’s just a chicken sandwich, everyone — calm down. But. You know. I tried it, and I learned better. So I get a little excited anytime I come across a Chick-fil-A deal — especially when I can get one of those life-changing chicken sandwiches for free. “Life-changing” — yes, I stand by that adjective. Take a road trip and see for yourself. 1. Download the Chick-fil-A app for your iPhone or Android smartphone before June 11. If you already have the app, make sure it’s updated to the latest version to receive the offer. 2. Click on the Chick-fil-A One icon, and sign in with an existing Chick-fil-A One account or create a new one. That’s it! Once you’re signed in, the freebie should show up in your “available treats” after June 1. Get your free sandwich by June 30, either by placing your order for pick-up through the app, or by having the cashier scan your app’s QR code when you order in the store. 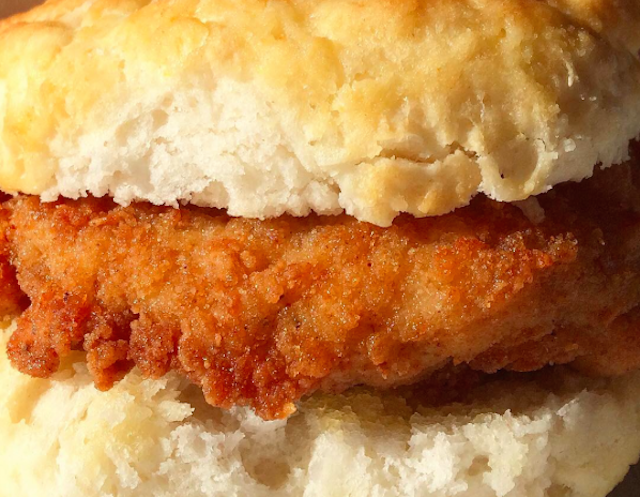 Now you’re left with the toughest task: Choosing between Chick-fil-A’s classic Chicken Sandwich, Spicy Chicken Sandwich or Grilled Chicken Sandwich. They’re all delicious, so take my advice: Bring some friends, and share. Get all three sandwiches for free, and you won’t have to worry about the difficult decision. Your Turn: Have you seen any good free food deals lately? Dana Sitar (@danasitar) is a staff writer at The Penny Hoarder. If you see her eating the kale salad, be advised she’s definitely dreaming about the Spicy Chicken Sandwich.